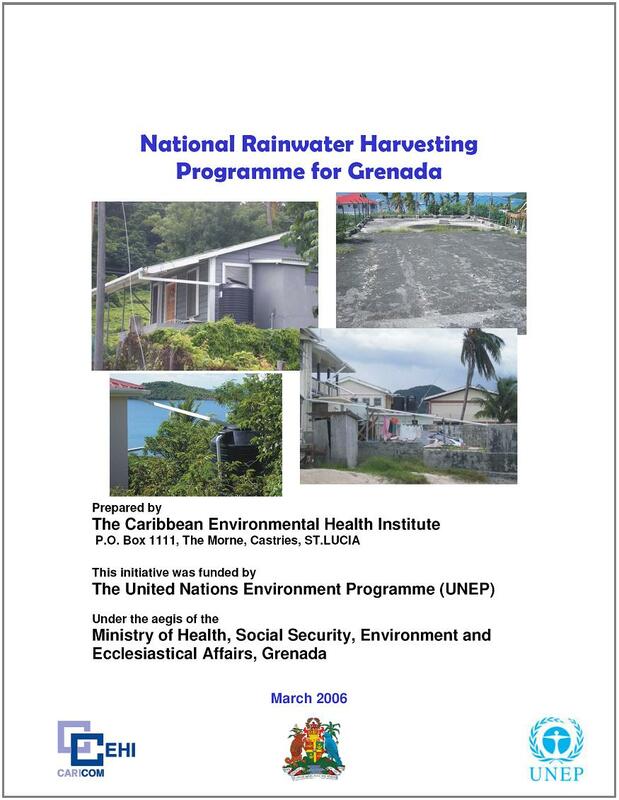 Under the United Nations Environment Programme-funded RWH promotion programme for the Caribbean region that was executed by the Caribbean Environmental Health Institute (CEHI), Grenada and (and its sister islands of Carriacou and Petit Martinique) was selected as a pilot country for the development of a RWH national programme. The choice of Grenada as the pilot country was made given the fact that mainland Grenada experienced crippling water shortages following the passage of Hurricane Ivan in September 2004. In the weeks that followed the hurricane, Carriacou, situated to the north of Grenada became a key supply of water to Grenada due to the fact that Carriacou practices rainwater harvesting extensively as that island lacks rivers and has only limited ground water supplies.